- The beach (virgin, 8 km long, with pine trees and dunes) is 800 meters. - The airport is 15 km and Alicante at 20 'drive. - Bus Torrevieja - Alicante to 100 meters. - Supermarket Lidl and Mercadona 1.5 km. - Supermarket consum 100 meters. - Pueblo La Marina with all amenities 1.5 km. - International Camping La Marina 100 meters. - House surrounded by pines, perfect for hiking. - Option to kayak and bike rentals. Cute modern little house close to the beach! This property is great for beach loving couples or small families. Big enough for a couple plus one child (or two v.small ones). The house was immaculately clean and very modern, with a lovely area for sitting outside. The beach is a few minutes drive away and a maximum ten minute walk - the town has lovely bars and restaurants and our hosts were very friendly. It is a small property but really cute and very clean and tidy - as we're out all day it was lovely to sit on the little terrace and enjoy a glass of wine on our return! 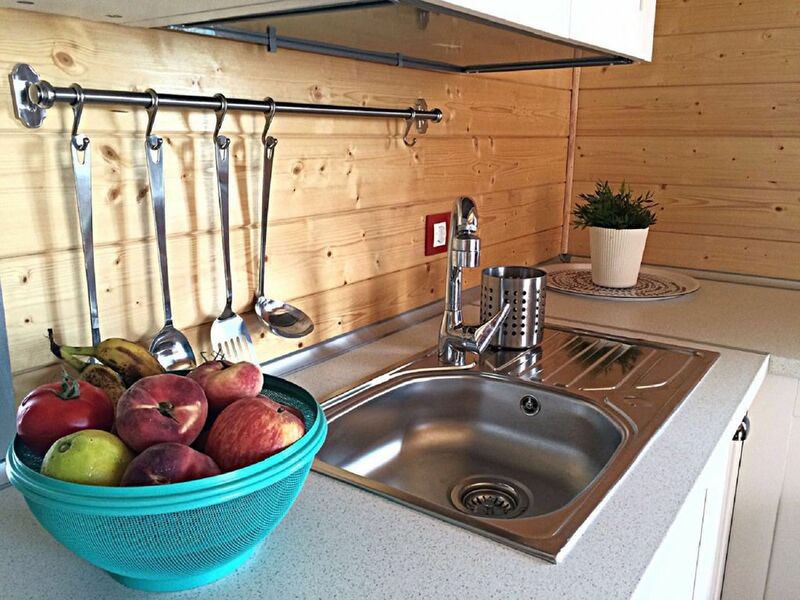 The kitchen was very well equipped for cooking and the bathroom and shower were very modern and clean. Would definitely stay again - great value and super clean and modern. Sehr erholsam, sehr gut ausgestattet, toller Strand! Familia sin problemas, han dejado la casa bien recojida. Recomendable. Situada muy cerca de la playa. Con todas las comodidades necesarias y todo el mobiliario cuidadísimo. Limpieza impecable. Mucha tranquilidad. Los propietarios, muy amables.Volveremos. Todo genial. No falta de nada en la casa, hasta el último detalle. Tranquilidad a un paso de la playa. Repetiremos!